Whatever the business size, project scope or scale of your requirements, we can recommend a total solution that fits all of your needs. Whatever the business size, project scope or scale of your requirements, we understand that you have many technology provider choices. M6iT carefully listens to your business requirements, and because our specialists understand technology, business and industry issues we can recommend a total solution that fits all of your needs. 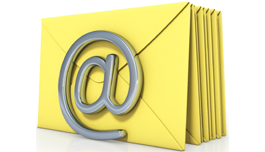 Good communication means good business and email is the new standard in modern communication. To be successful, companies must communicate well internally and externally. 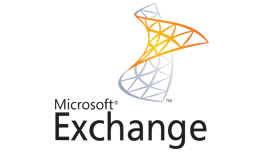 M6iT Consulting offers a complete Microsoft Hosted Exchange package to manage enterprise emails. The comprehensive product is a simple, effective, and affordable option for businesses. With M6iT Consulting Microsoft Hosted Exchange, you can get reliable email service with unlimited storage and ease of mind for only a low monthly fee per mailbox. For years, M6iT has been a deploying hosted Microsoft Exchange. 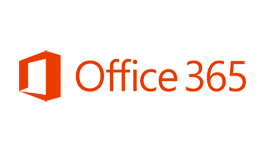 Now, we’re putting that experience behind Microsoft Office 365. With over 15 years of experience we can migrate and deploy Microsoft 365 with ease and with absolutely no downtime. This is an ideal product for small to medium size business. Of course, you also get the familiar, cloud-based Microsoft tools that allow you to work anywhere, together and smarter. 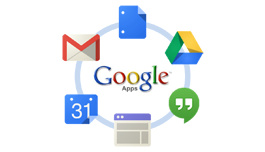 Google Apps needs no introduction. A simple email, and collaboration solution for starting businesses. A great product for mobile users or enterprise alike. Google Apps allows you to integrate your business domain, and lets you work from anywhere with Google drive. You can create, edit and share files on the go. Its business-grade security and controls lets you manage your company’s devices and data with the tool you need. 30GB of storage per mailbox with no Ads. Online Office on phone, laptop or tablet. Email Continuity Service (ECS) gives you access to email even when your own servers go offline. With ECS users will be able to instantly log into their mail via Outlook Web Access where they can view and respond to the last 30 days of messages as well as any new messages received. Once service is restored, any messages received during the outage will be available in their mailboxes. ECS is designed as an always-on service, so there’s no need to activate it while you’re working to restore service or handling other priorities. It’s a protection for your business and peace of mind. There are many hazards from the internet that can infiltrate your inbox. 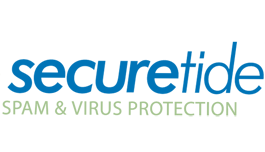 With Spam & Virus Protection Service, you can get the email you want by blocking spam, viruses and junk mail with the award-winning SecureTide. The anti-spam service saves you time and money by blocking unwanted messages and keeping your system free of adware, spyware and viruses. The set-up is very easy: A simple change to your MX records is all it takes to get started. You will receive a daily Held Spam Report to see the spam you’re (not) missing. Managed M6iT Cloud Backup for SMBs or MMBs is an award-winning software program that quickly, easily, and securely puts your data in the cloud. Saving your files, in a military-grade data center is an ideal way to ensure that you’ll be able to get your data back in case your hard drive fails, you switch computers, or you accidentally delete some of your data. After you download M6iT Cloud Backup application, you’ll be guided through steps that set up your initial backup and then schedule your subsequent automatic backups. You’ll be notified when your backups are running and you’ll also get an online backup report emailed to you. Restore any versions of files backed up. Restore any backed up file, from any point in time. The latest version of your file will always be available. Seagate® is bringing an open approach to Intelligent Information Infrastructure™, applying our experience working with cloud service providers worldwide to help manage next-generation workloads—with the scale, performance, and cost aligned to customer business needs. Seagate truly open approach to data management supports high performance computing, open source and software-defined solutions. Seagate Cloud Systems and Solutions builds on the Seagate legacy to extend innovation from the device into the information infrastructure, onsite and in the cloud. Vaultize is a secure Dropbox alternative for enterprise file sharing, mobile collaboration and anywhere access with mobile content management (MCM), digital rights management (DRM), data protection (endpoint backup) and data loss prevention (DLP). 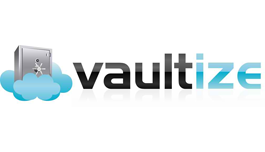 Vaultize’s 3A Access provides your employees freedom to access, modify, share and collaborate on company files on their laptop and mobile devices from anywhere, all while IT maintains complete administrative control and visibility. One of the biggest challenges companies face is how to maximize business continuity and avoid business disruption following a server failure or data loss. M6iT provides fast and reliable data backup, protection, disaster recovery, and system migration to get servers online or data recovered as quickly as possible following a disaster. 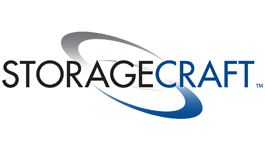 We create hybrid solutions that takes a full server backup to local hardware or to the cloud, and restoration can occur to the same system, or entirely dissimilar hardware and/or to and from virtual environments. Bare metal recovery ensures the entire system is restored, right down to the last minor program preference and setting. Recover to and from virtual environments. Automatically consolidate backup image files. Verification and re-verification of backup images. VirtualBoot for quick failover to a virtual desktop. 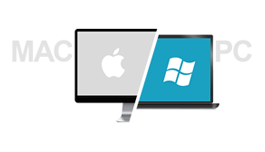 Converter tool to convert to .VHD or .VMDK. Granular recovery of individual files/ folders. Scheduler for automatic full and incremental backups. What is worse than a Virus? Time and money wasted recovering from one! Every minute counts in today’s business. Stop wasting your valuable and scarce IT resource time and energy on the selection, testing, planning, deployment, updating and reporting of your Anti-virus software. Managed Anti Virus service provides the skilled IT resources, domain expertise, centralized monitoring and management facilities and proactive approach to ensuring the protection of your desktops and laptops against the ever present threat of viruses, spam and malware attacks. Security that guards your computers against viruses, rootkits, malware, phishing, data loss, web threats and much more. Advanced heuristics, web filtering, search advisor, USB scanning to block all malware entry points. Sensitive data and productivity can be compromised when users forget to update or even deactivate security. CSE updates are automatic and users can’t interfere with the settings or deactivate protection. Don’t be an easy target for hackers. 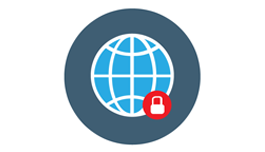 Consider securing your network, protect your employees, customers and data with Secure Surf. It’s no longer a question of “if” you will encounter Web-based malware, but “when”. An overwhelming number of new Web-borne threats are unleashed throughout the Internet every day, infecting thousands of networks that lead to untold financial and data loss. The only way to effectively protect your network from these evolving threats is through a multi-layered, adaptive solution like Secure Surf from AppRiver. Secure Surf cloud-based Web protection service is continuously updated (over 2,500 times a day) to shield your network and employees from all known and suspected attack types. It won’t slow down your browsing experience; in fact, your users won’t even know its running unless they happen upon a dangerous Web site. Normal, Warning, Failed, Misconfigured, No Data, Stale Data, or, Disconnected. The System will optionally send an e-mail or SMS notification to alert you that the service has changed state. N-central comes with a large number of default services and it is easy to create additional custom services. 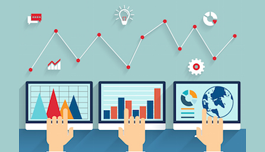 We won’t overwhelm you with website content. Select an area of expertise and talk to a live sales engineer for a free consulting call.